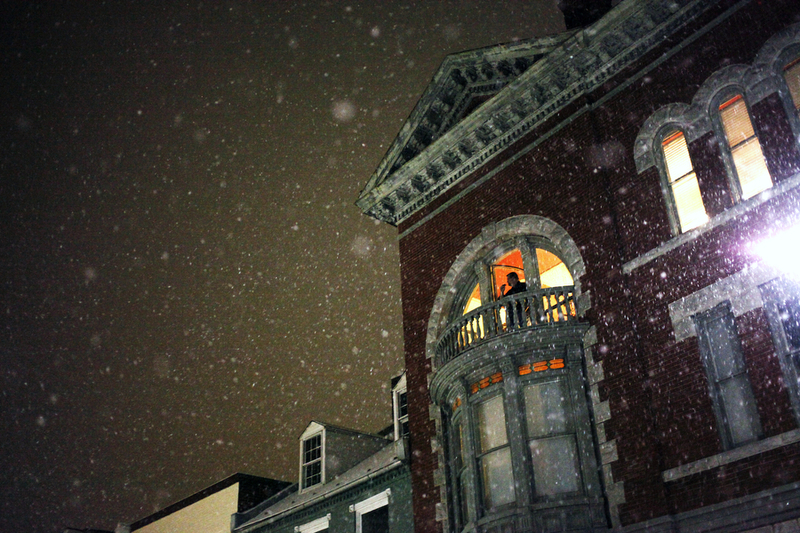 A man smokes a cigar from his balcony over Beverley Street in Staunton on Feb. 12, 2014. I know a lot of us feel documentation-weary sometimes — that people today, with the accessibility of camera phones, document every mundane aspect of their lives. But as someone whose job it is to document everyday, I realized recently that I was doing a pretty poor job of documenting my personal life and the things I love. It’s really easy to take certain things for granted — the beautiful town we live in, the fun moments we have with our friends, even just curling up on the couch with our pets. And I think the wonderful thing about photography is that, even though it’s amazing that we’re able to remember things like that, the camera can — for the most part — capture just how we’re feeling about the things we love, because it can be present in the moments that we’re happy. Snow falls on red berries in Staunton on Feb. 12, 2014. On Wednesday night, before the big bulk of the snowstorm blew through — just as the snow was quietly settling on the streets, muffling all the sounds around — I ventured out with my good friend Pat Jarrett to just photograph Staunton. Because even though I work for a paper whose job it is to document Staunton, sometimes it’s hard to get across how absolutely beautiful this place is for people who don’t live here. And guess what — everything looks pretty in the snow at night. And it made me really happy. A boy shovels snow as it falls on Augusta Street on Feb. 12, 2014, in Staunton. Pat Jarrett walks along Middlebrook Avenue on Feb. 12, 2014, in Staunton. 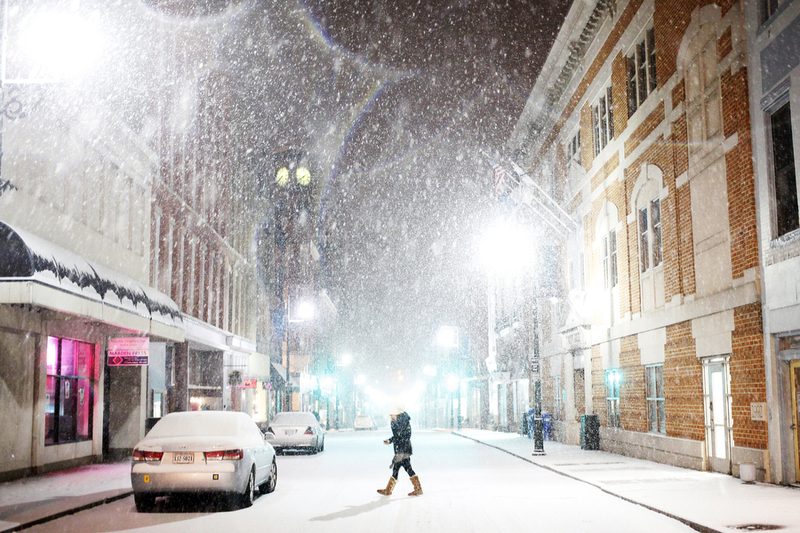 Snow falls in front of the Visulite Cinema on Augusta Street on Feb. 12, 2014, in Staunton. A woman walks to her car while singing "Happy Birthday" to the person on the other line as snow falls on Beverley Street on Feb. 12, 2014, in Staunton. Hannah Scott and Julia Price talk over drinks at the Baja Bean on Wednesday, Feb. 12, 2014, in Staunton. Candace Christy stomps in the piled-up snow on her way home on Feb. 12, 2014, in Staunton. A car is reflected in a storefront window on Feb. 12, 2014, in Staunton. Pat Jarrett walks through the snow-covered cobblestone on Feb. 12, 2014, in Staunton. A car drives through the snow on Middlebrook Avenue on Feb. 12, 2014, in Staunton. Pat Jarrett walks through the snow on Feb. 12, 2014, in Staunton.